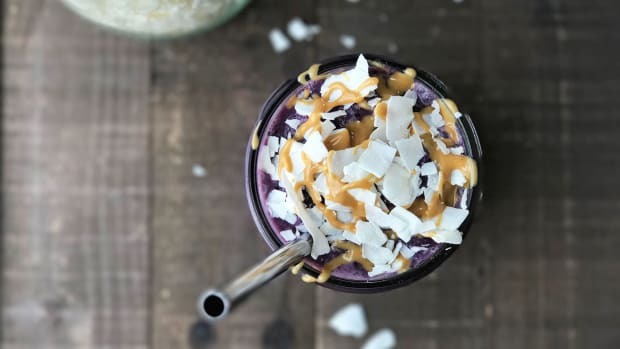 The smoothie bowl trend is as delicious as it is beautiful, but is the superfood-packed concoction setting you back with your dietary goals or, even worse, endangering your health? 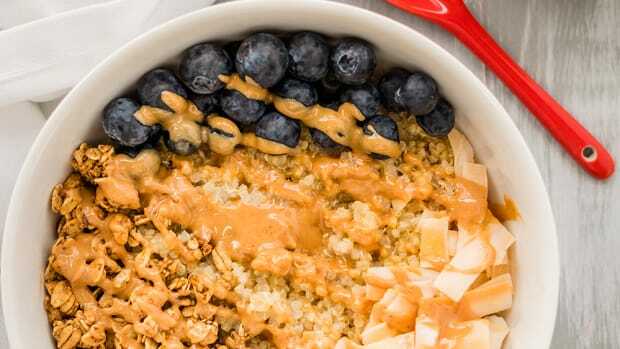 Smoothie bowls are often full of sugar (albeit natural), calories, and fat. 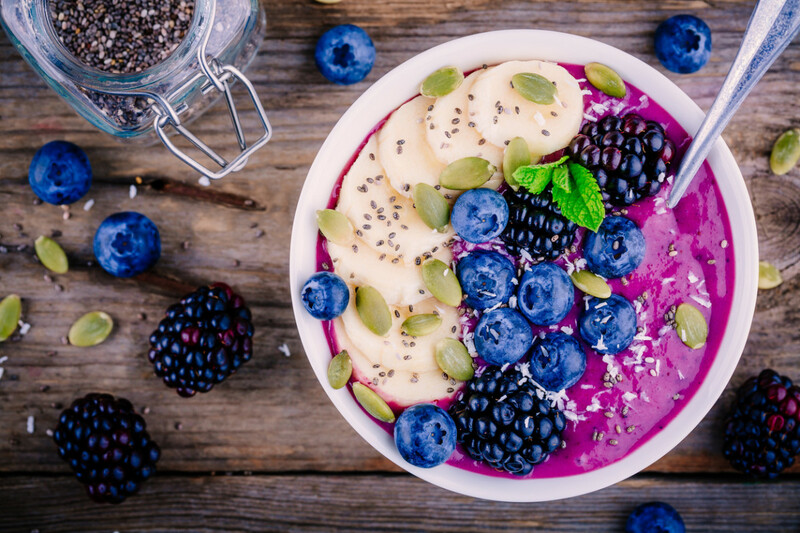 Here’s what you need to know about smoothie bowls and how to enjoy them without the potential side effects. Categorizing smoothie bowls as “healthy” is partially misleading. Sure, you can hide all of your eh-tasting superfood powders, greens, and other potions and elixirs in there, but this comes at a cost. 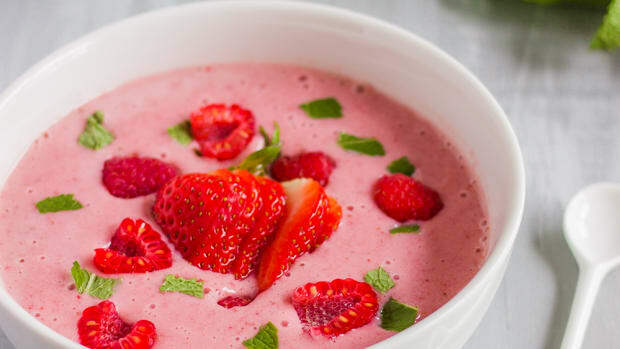 Smoothie bowls are thicker than your traditional smoothie and require a higher volume of fruit – usually banana – to accomplish this sought-after texture. 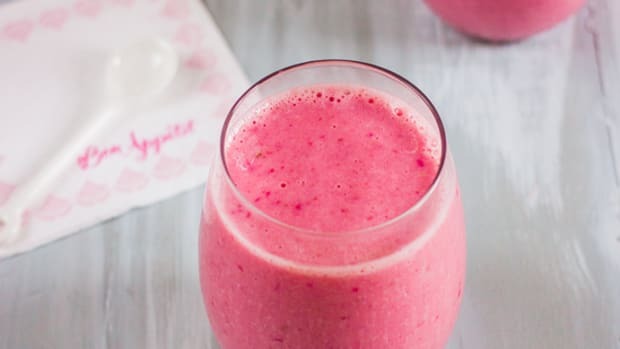 Some smoothie bowls can clock in at more than 1,000 calories and 130 grams of sugar (more than three cans of soda) due to the fruit juices, purees, and added sugar (even healthy sources thereof). 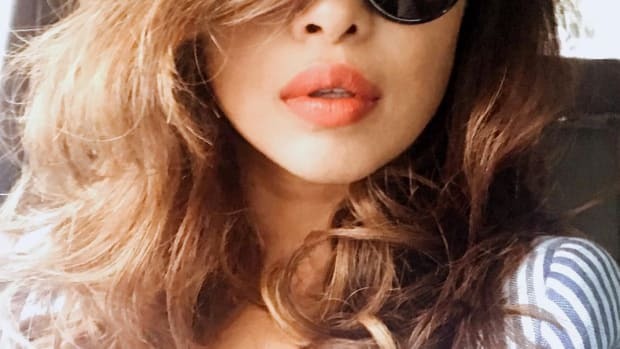 Then come the aesthetically appetizing, Insta-ready toppings, which include dense nuts, nut butters, and dried fruits as well as even more fresh fruits. These add-ons simply compound the high-glycemic, high-calorie, and high-fat effects of the smoothie bowl base itself. But that doesn’t mean you have to nix smoothie bowls from your diet altogether. In fact, you can have your bowl and eat it too! 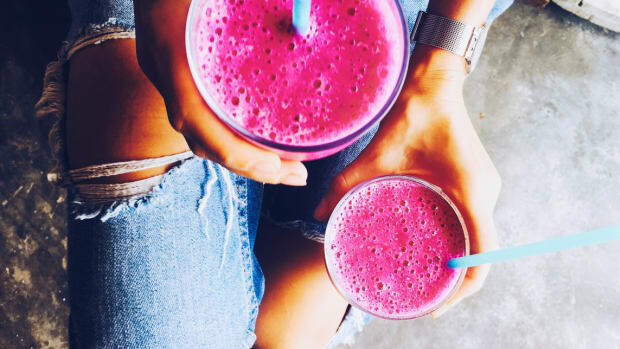 The trick is to swap out some of the fruit and replace it with a low-glycemic alternative that also happens to maintain the consistency. Catalano offers her own recipe, which features frozen steamed cauliflower, as opposed to frozen banana. Alexandra Catalano gives us her favorite smoothie bowl recipe that is full of low-cauliflower, low-glycemic fruits, healthy fats, and lots of flavor! Place frozen cauliflower, spinach and almond milk in a blender and mix until creamy. Add the flax and frozen blackberries to the blend. Pour the mixture into a bowl and garnish with dried unsweetened coconut flakes, cacao nibs, and drizzle almond butter on top. Finally, sprinkle a pinch of bee pollen and enjoy! 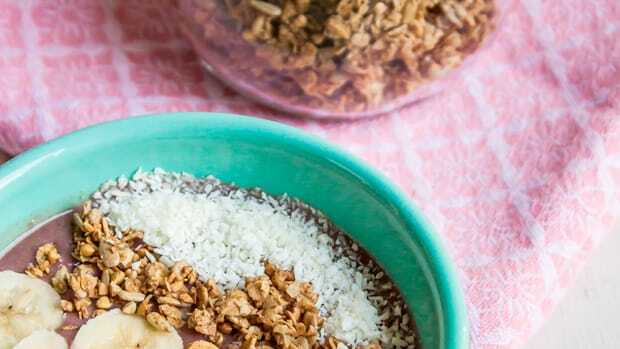 Skip the Juice Bar: Make This Delicious Acai Bowl at Home! 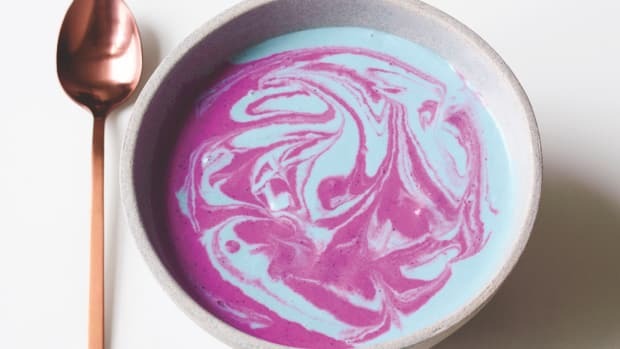 Serve up this delectable unicorn inspired vegan smoothie bowl made with blue magic algae.